Skincare based and vegan makeup line with Foundation, CC-Créme and Concealer presented in three colors – products that will finish what your skincare starts. 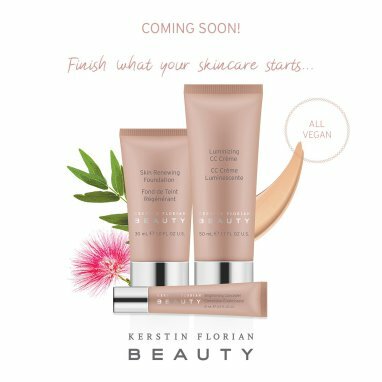 Fusing beneficial actives and natural ingredients with professional cosmetic performance, Kerstin Florian Beauty offers intuitive makeup with skincare benefits. Weightless textures and radiant finishes. Built around the company´s guiding principle of Outer Beauty, Inner Health, this curated collection creates a beautiful and healthy skin.